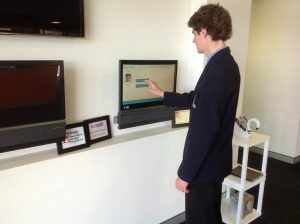 The Gatekeeper allows staff, students and visitors to electronically sign in and out when arriving, departing early (in the case of students) or leaving temporarily for an external appointment. It can be customised to suit your schools requirements, from passes being printed to requiring approval from a designated workstation. It can be used to track boarders leaving/re-entering outside of normal school hours, to tracking the start and finishing times of relief staff. It includes a web-based component to allow staff to sign out from any device allowing schools to be aware of which staff are on/off site at any given time.